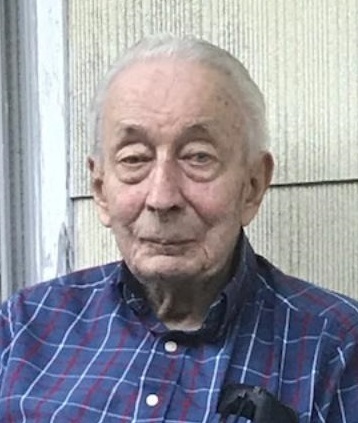 Harry Jones Jr., 94, of Downsville passed away on Thursday, March 21, 2019 concluding a long life filled with love, joy and dignity. Harry was born at home on December 28, 1924 in Stony Point, NY. Only weighing two pounds at the time of his birth, he spent his first night on Earth wrapped in cotton and placed in a shoebox on the oven door. Although he wasn’t expected to live through the night, Harry spent the next 94 years defying those odds and living his life to the fullest. Harry was employed for many years by Lederle Laboratories in Pearl River where he received a commendation from the United States government for his work in building, repairing and maintaining the only machine in the country that mass produced penicillin for our troops overseas fighting in World War II. After leaving Lederle Laboratories, Harry owned and operated Jones’ Deli in Stony Point before relocating to Downsville in 1977 where he operated the Pepacton Sports Center until his retirement in 1985. Always on the go, Harry became known throughout the area for his activities in buying and selling his “treasures” first from his never-ending lawn sale at his home on Main Street and later from his shed at the bottom of Cat Hollow Road. He was also an avid and successful hunter, fisherman, trapper and outdoorsman. Harry married the love of his life, Grace Ricker, on February 12, 1949, and the couple recently celebrated 70 years of marriage. He is survived by his loving wife Grace, three sons and their wives, Barry and Laurie Jones of Downsville, Craig and Sherry Jones of Campbell Hall and Chris and Christina Jones of Downsville. He is also survived by his grandchildren, Adam Jones, Renee (Michael) Lamonica, Matthew (Alexandra) Jones, James (Deborah) Joseph and William Joseph, and his three great-grandchildren Jordan Joseph, Thalia Joseph and Harrison Lamonica. Harry also leaves behind many nieces, nephews, cousins and close friends that he always considered to be part of his family. He was predeceased by his parents, Harry and Olive Charleston Jones, two sisters Ida Brahm and Ruth Grant and one daughter, Jill Ann Jones. Calling hours will be held on Sunday, March 24 from 2-4 and 7-9 p.m. at the Harris Funeral Home, Railroad Avenue, Roscoe N.Y. A funeral celebration of Harry’s life will take place on Monday, March 25 at 2 p.m. at the funeral home. Burial will take place in Paige Cemetery, Downsville NY in the spring.